John Fife: Rally - An Omen for 2019? Toyota Gazoo Racing has scored its first 'rally' win of the 2019 season. 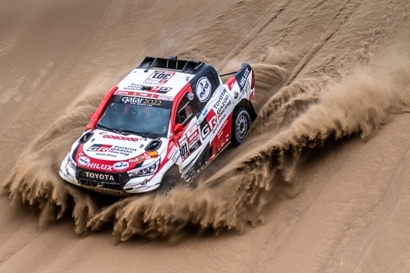 The highly modified Toyota Gazoo Racing South Africa Hilux claimed Toyota’s first victory in the ultra-gruelling Dakar rally. 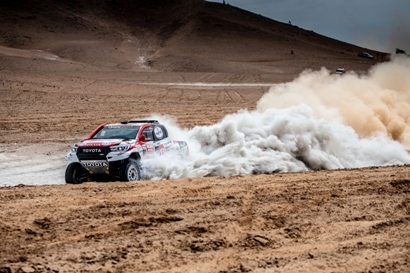 Nasser Al Attiyah and co-driver Mathieu Baumel successfully negotiated the tenth and final stage yesterday to seal a historic first victory for Toyota in one of the world’s toughest motorsports events. 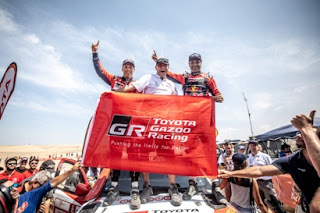 Toyota Gazoo Racing SA led the car category of the 41st edition of the Dakar all the way with Qatari Al Attiyah heading the field from the third day. 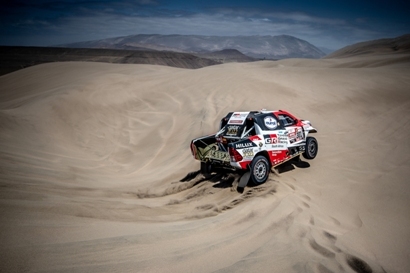 This year the event took place entirely within Peru and produced some of the most gruelling tests the rally has witnessed since locating in South America. The team recovered from an early setback when the Hilux of Giniel de Villiers and Dirk von Zitzewtiz hit a rock in thick dust on stage three, and fell out of contention. Team-mates Bernhard ten Brinke and Xavier Panseri suffered a similar fate the following day, prior to retirement on stage eight. De Villiers maintained his impressive record of top-10 finishes, coming home in ninth place. Since 2012, the team had posted five podium places and seven top-five finishes; Al Attiyah’s win comes after a second-place result in 2018. An electrical fault cost Sebastien Loeb around 30 minutes in his privately entered Red Bull sponsored Peugeot during stage seven and he dropped out of contention. Interest will now turn to Monte Carlo next week and the pressure will be on for Tommi Makinen's squad to do the business. No pressure, eh?